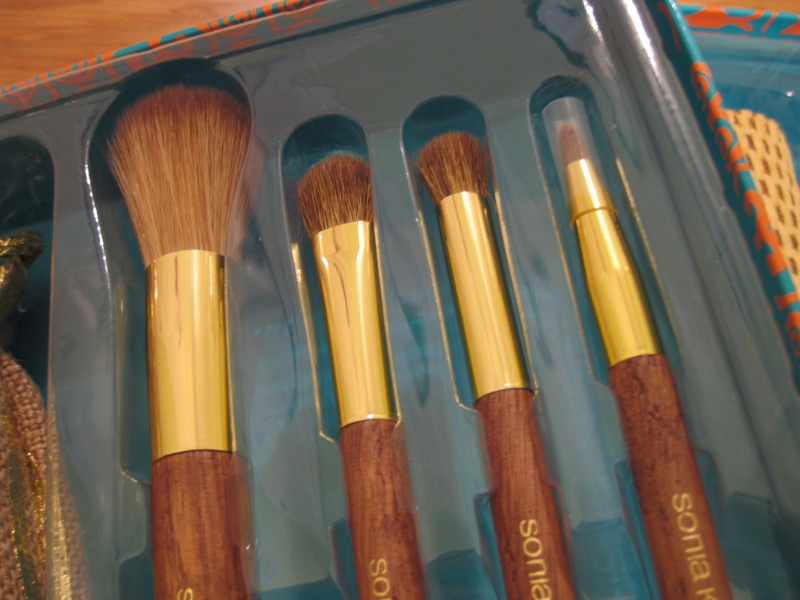 Kalifornia Love: Sonia Kashuk Brush Sets on Sale @ Target!! 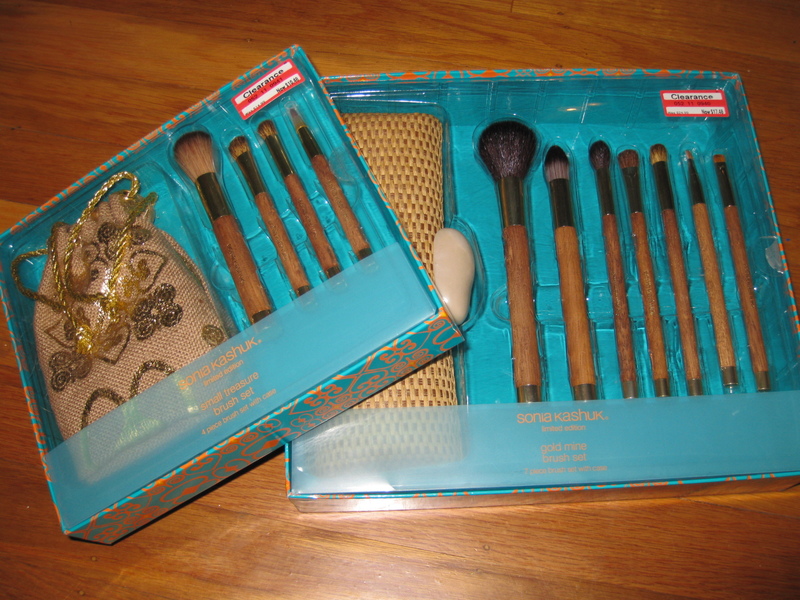 I always miss out on the fabulous Sonia Kashuk limited edition brush sets when they go on clearance so when the newest sets packaged in a chic teal and orange combo came out, I made sure to keep my eyes wide open for any sales. For months, I checked up on them during every visit. Being the bargain shopper that I am, I was not about to pay full price when I knew they'd eventually go on clearance. Yesterday, when I stopped by Target for some lunch, I got lucky! Most (or all?) of the products from the Spring collection were plastered with clearance stickers featuring amazing markdowns. I quickly checked for the Gold Mine set (7 piece brush set) but it was gone. 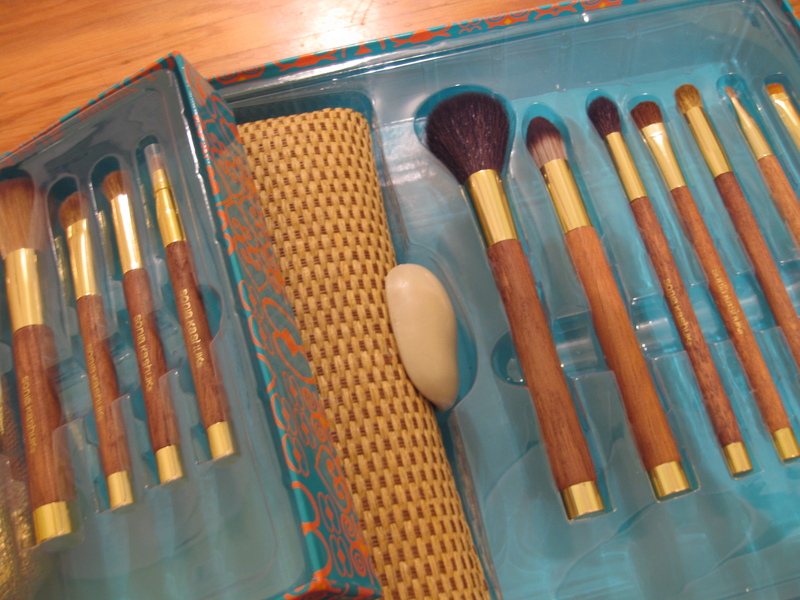 I left with the Small Treasure set (4 piece brush set) without even fully knowing if I wanted it. Later on, I visited another Target and found three Gold Mine sets left! I was ecstatic. =) I picked up one and left feeling pretty darn happy and accomplished. I'll test these out during the next few weeks but from what I can tell, these brushes feel fairly soft and look nice for the price. We'll see how they hold up though. As far as online Target reviews go, the Gold Mine set has a 5 star rating. This is an awesome steal....these are really pretty! These look great! I saw they were on sale at my target but i resisted since i have enough brushes...i might go back and get them though lol!! 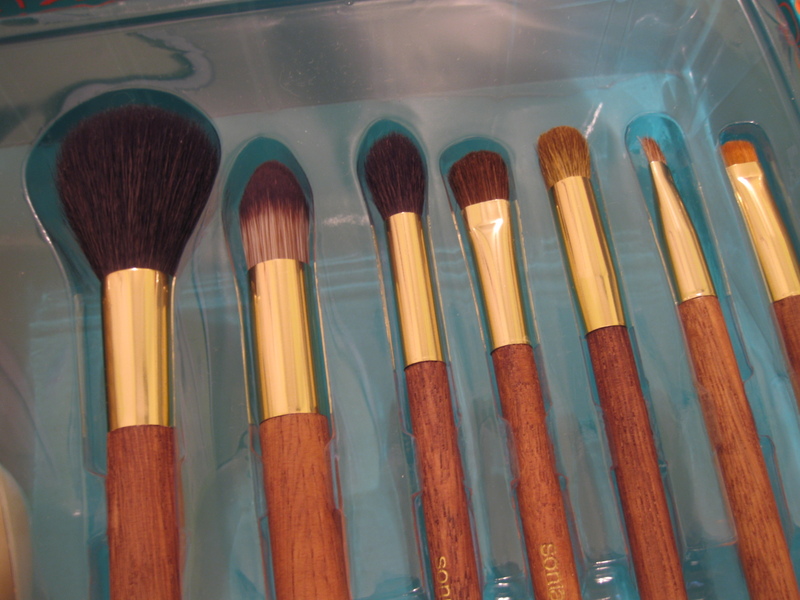 I love sonia kashuk brushes!